This Illustrated Cut and Drilling example Chart will help you understand the difference between the different cuts and types of drilling as they apply to Buff Top Cut Gemstones. 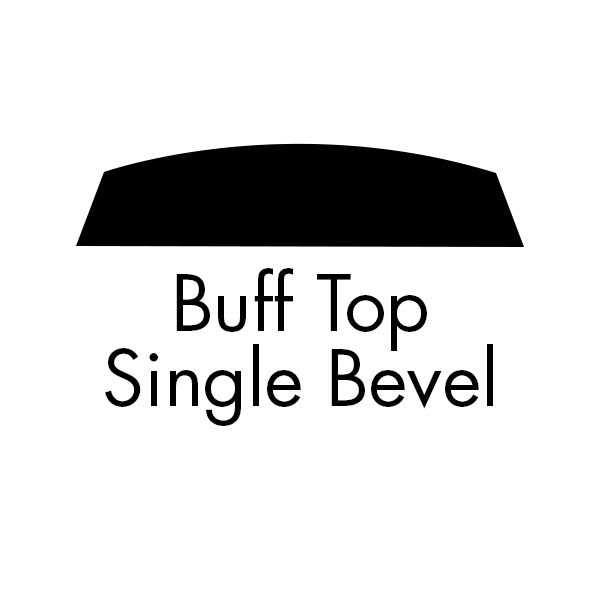 Buff Top Single Bevel are typically used when set by slightly pushing the side wall of the casting or finding against the side angle, (bevel), of the stone. 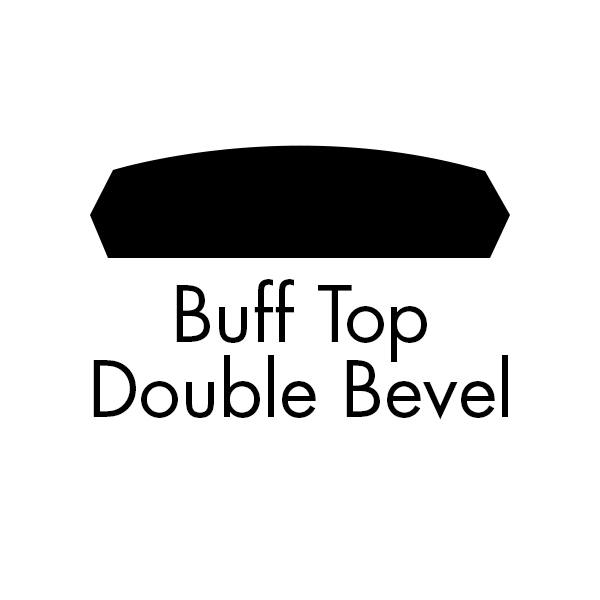 Double Bevel is typically used when setting with prongs. 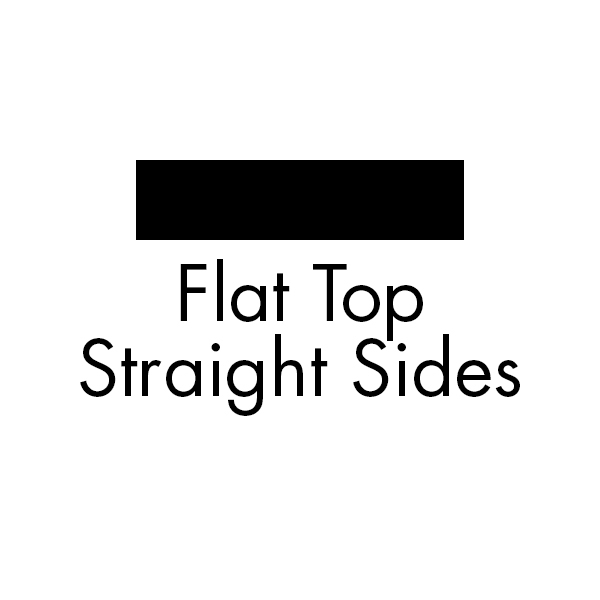 Flat Top Straight Sides typically are set with epoxy or set from the back of the casting or finding. 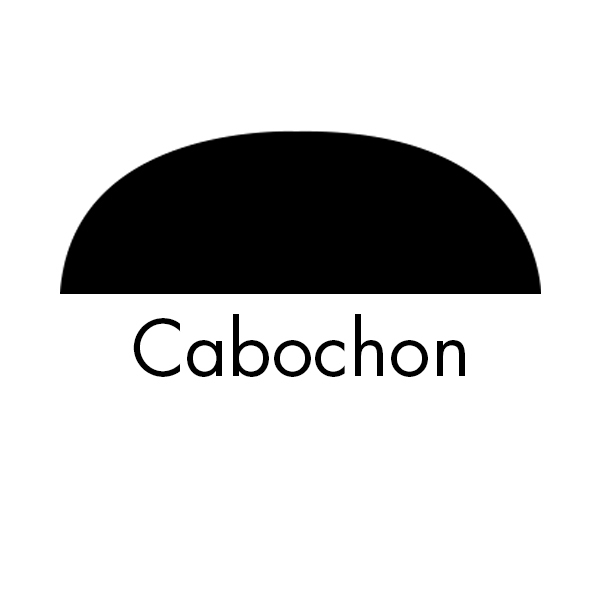 Buff Top Gemstones have a slight curve to the top.They are not considered Cabochon, (as also illustrated to show the difference).